Vornado | Chrom Tech, Inc. 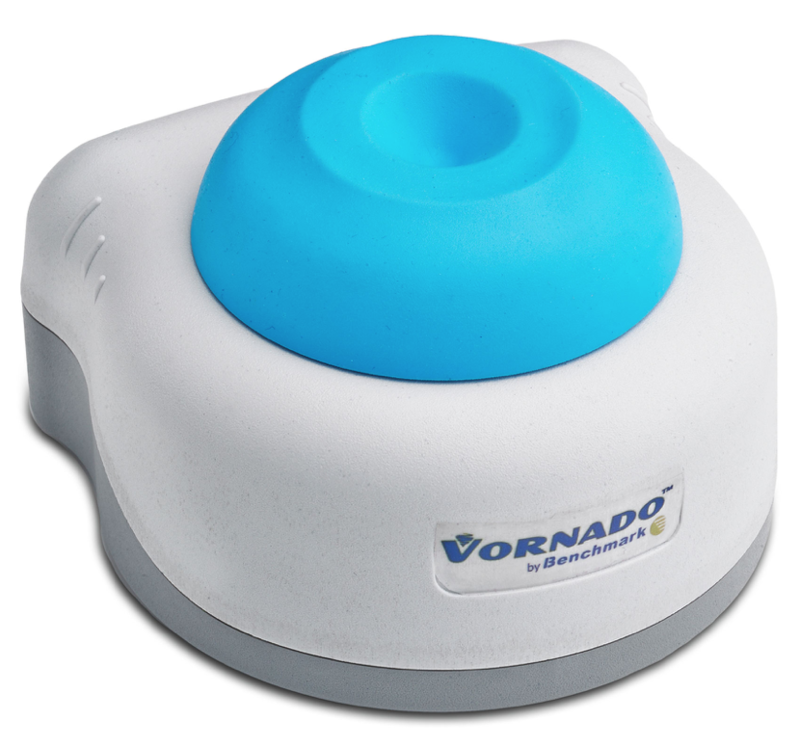 Powerful is the best word to describe this mini vortexer. With a 4mm orbit and fixed speed of 2800rpm, the Vornado instantly vortexes even the largest samples, including nearly full 50 ml tubes. Despite its powerful motor, the Vornado has a footprint of less than 4×4 inches, allowing it to fit on even the most crowded bench. Insta-Touch operation means that the motor is automatically activated with slight pressure on the center cup head. Operation is smooth, quiet and efficient. When pressure is removed, operation immediately ceases.